After makeup is removed and your face is cleansed and toned, Greenblatt will analyze your skin to make certain you’re a candidate for the treatment—the lactic acid and steam can cause discomfort if you have rosacea or really sensitive skin. If you’re good to go, she’ll massage your face and apply the lactic acid in quick circular motions—the more friction, the less you’ll feel the tingle. Greenblatt says she keeps a close eye on her clients since the acid can be uncomfortable. For the initiated, it’s left on the skin for only five to seven minutes, but for newbies, she keeps the application down to only a couple of minutes. The acid is removed with a special cleansing gel, the skin is toned and a vitamin-packed calming mask is applied to reduce redness. You’ll also get a scalp or hand massage before Greenblatt applies an eye treatment and moisturizer to finish. This is the season to discover your radiance. 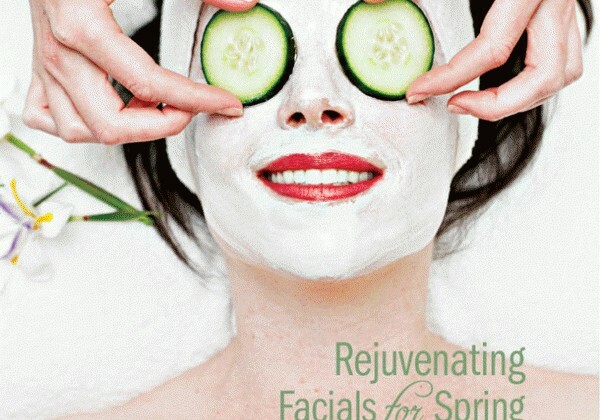 Rejuvenating facials won’t be able to stop Father Time, but with a little effort, you might keep him at bay.?? ?